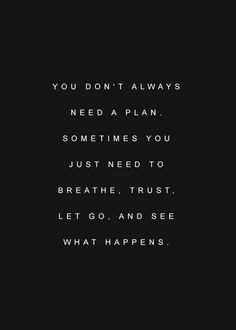 You don't always need a plan. Sometimes you just need to breathe, trust, let go, and see. Yeah, right! Not in my world!